We offer you professional and traditional Thai massage in the most friendly and relaxing atmosphere. Please step in, indulge yourself and just enjoy. Our light, fresh and modern salon is located in the southern part of Stockholm City in Sweden. 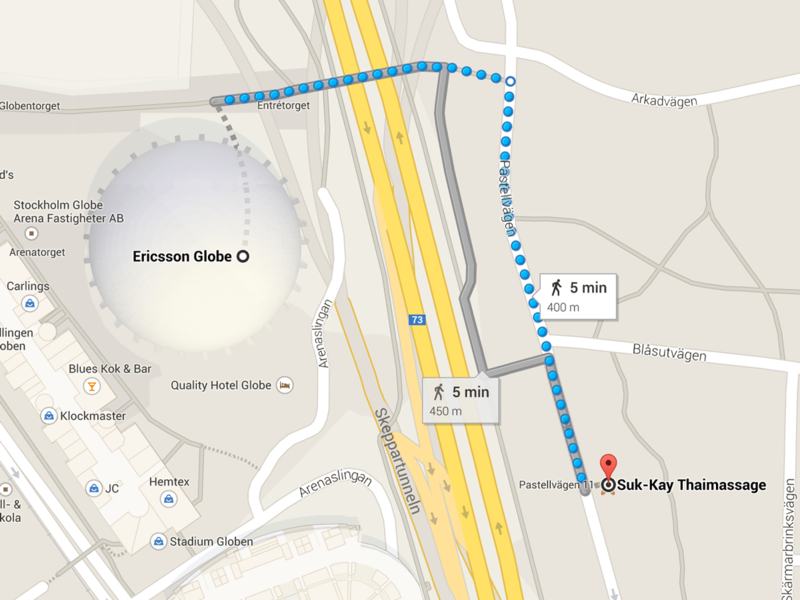 Close to the Ericsson Globe Arena and Globen Shopping Centre. 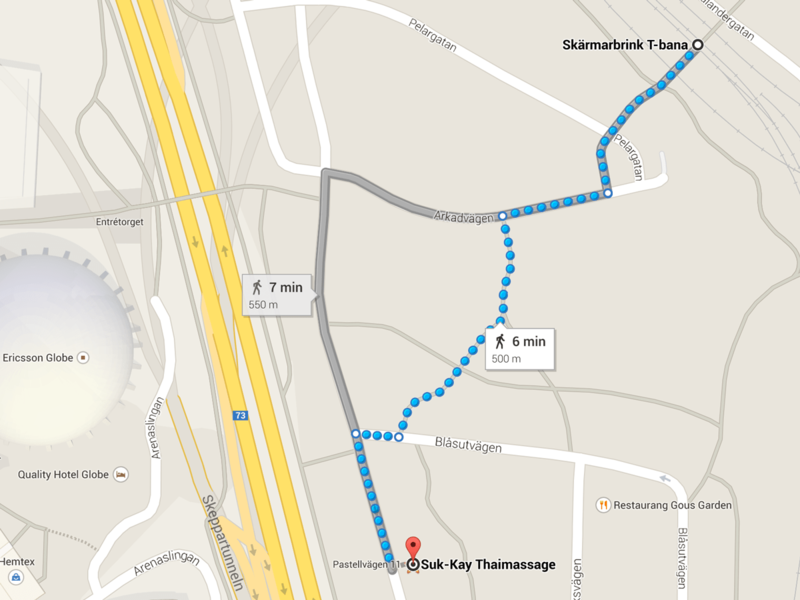 Easy access just between 3 subway lines and a 5 minute walk from the Globen Shopping Centre and hotel area.